Alvin Villanueva of San Fernando City, Pampanga was put under probationary status when the effects of the implementation of the K to 12 curriculum hit the college he was working for. After he lost his teaching load, his supervisor urged him to apply for the K to 12 DOLE Adjustment Measures Program (AMP). As the K to 12 program was being rolled out in schools across the country, some voiced fears that HEI personnel may face employment termination during this period due to the expected multi-year low enrollment. To mitigate this negative impact on labor, the DOLE issued an order establishing the K to 12 DOLE AMP: an unemployment-related benefit scheme aimed at providing aid to affected personnel. Last year, the K to 12 DOLE AMP serviced 464 beneficiaries from 1,473 personnel reportedly displaced from their workplaces. HEI workers who lose their jobs during the transition to the new educational system are eligible to apply for the program and receive (1) Financial Support, (2) Employment Facilitation, and (3) Livelihood Opportunities. Conde has since found reemployment, teaching at St. Mary’s College of Tagum, through the program. 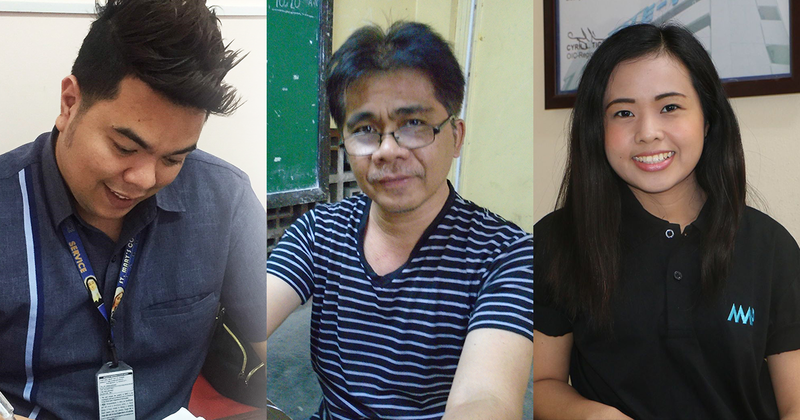 A former full-time teaching faculty of the Capitol University in Cagayan de Oro City, Misamis Oriental, the school’s guidance officer suggested to him to attend a DOLE seminar after he was listed among those in the retrenchment program of the university. He credits the package of assistance from DOLE for providing him the means to finance his monthly bills and amortization. Similarly, Jemima Neriss Yerro from Cebu City expresses profuse thanks to the department for the help she received. Displaced from Cebu Eastern College where she used to teach full-time, she was able to secure a job as a Senior High Teacher at University of San Carlos after just two months in the program. For more information about the K to 12 DOLE Adjustment Measures Program, potential beneficiaries are encouraged to contact the K to 12 DOLE AMP Program Management Office at (02) 528.0083, through e-mail at ble.k12doleamp@gmail.com, or through their Facebook page at facebook.com/K12DOLEAMP.